LuxSci is serious about the quick and efficient delivery of all email sent by our clients. We take extra steps to ensure that our servers sending outbound email are not blacklisted. Indeed, while it is impossible to never get on any blacklist (unless you are not sending email), our business and enterprise email hosting servers have very rarely been blocked; in theses cases, we have quickly re-routed email around the blocks to ensure delivery until the block is removed. (Note that this article applies to our email hosting services, and not to our separate High Volume outbound email marketing service — which we run through separate servers and which we also monitor constantly to catch and remediate any possible blacklistsing). How do we stay off of the blacklists? Lux Scientiae takes a zero tolerance approach to the sending of Unsolicited Commercial E-mail (UCE) or SPAM over our network. Very simply, this means that customers of Lux Scientiae may not use or permit others to use our network to transact in UCE. Customers of Lux Scientiae may not host, or permit hosting of, sites or information that is advertised by UCE from other networks. Violations of this policy carry severe penalties, including termination of service. Sending a message, especially an advertisement, to more than five recipients, is by itself spamming unless the individuals have specifically requested to be added to a mailing list on that topic. This includes both commercial advertisements and informational messages sent to recipients via electronic mail (email), as well as off-topic messages posted in Usenet discussion groups where the recipient has not requested or invited the message. Email is a person-to-person medium, not a broadcast medium. Customers of Lux Scientiae are strictly prohibited from using or permitting others to use UCE or SPAM over our network. As our customers are ultimately responsible for the actions of their end users over the Lux Scientiae network, it is advisable that customers develop a similar, or stricter, policy for their users. Violation of Lux Scientiae’s SPAM policy will result in severe penalties. Upon notification of an alleged violation of our SPAM policy, Lux Scientiae will initiate an immediate investigation (within 48 hours of notification). During the investigation, Lux Scientiae may restrict customer access to the network to prevent further violations. If a customer is found to be in violation of our SPAM policy, Lux Scientiae may, at its sole discretion, restrict, suspend or terminate customer’s account. Further, Lux Scientiae reserves the right to pursue civil remedies for any costs associated with the investigation of a substantiated policy violation. Lux Scientiae will notify law enforcement officials if the violation is believed to be a criminal offense. Explicit limits on the number of messages that each user can send per day. This is currently 300 messages/day by default. Explicit limits on the number of recipients to which each user can send per day via SMTP. This limit is 3000 recipients/day. By analyzing the email sending patterns of our users over long periods of time, we have seen that a limits of these size is much higher than is needed by most users, unless they are sending an email to mailing lists or have large amounts of transactional email. The numbers and types of messages and recipients sent to by each user over the current day and over the last few hours is monitored and alerts are sent to LuxSci Support when any spam-like or bulk-email-like pattern is discerned. Feedback loops are in place that monitor and track complaints by recipients on messages sent by our users so that our support staff can be notified quickly in the event of unusual spam-like sending activity. LuxSci Support can then contact the user and/or take immediate action to stop any actual abuse. Every new account is manually verified by LuxSci sales and support to weed out accounts that could cause problems: i.e. fraudulent accounts and accounts that fit the profile of a spammer. But What About Sending to Legitimate Mailing Lists or Transactional Email? Many of our clients have a need to send out bulk email messages to their existing client lists. While sending to legitimate client email lists is not against our acceptable use policy, the more people that do this, the more likely it is that our email servers will be blacklisted. Why? Because no matter how legitimate the message is, some people will complain. The higher the mail volume, the more complaints there will be. The only way to ensure that mailing to legitimate lists does not get our mail servers blocked is to limit or prohibit sending high volumes of email from our regular email hosting servers. Our customers have two good solutions for sending out large quantities of email. Both protect the delivery regular business email and ensure the delivery of the higher volume marketing or transactional email as well. 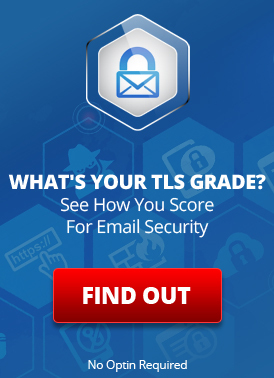 High Volume Email Marketing account: Obtain a separate LuxSci account for High Volume (or Premium High Volume if you need extra features or HIPAA compliance) email marketing. You would configure your email sending program(s) to use this new account for sending your email marketing or transactional email messages. Hybrid Account. If you have an existing email hosting account with LuxSci, we can add “Premium High Volume” sending to your account so that you can enable higher sending limits for all or specific users … without their needing to change anything. The outbound email messages sent by these users can be routed specially. Contact LuxSci support to request upgrading your account to a Hybrid account. This entry was posted on Monday, January 20th, 2014 at 7:00 am	and is filed under Business Solutions, Email Marketing. You can skip to the end and leave a response. Pinging is currently not allowed.